Vijay Kumar was born at Red Hills and this has always been his home. 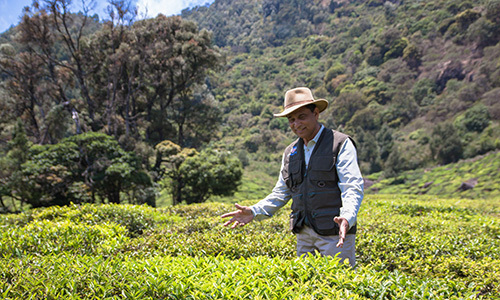 Vijay grew up in the tea plantation and followed his family into the tea business. Growing up, Vijay was an avid sportsman and still enjoys sports and the outdoors. Vijay has a tremendous understanding of the nature and area that surrounds the Red Hill estate. He is the youngest of ten siblings. Vijay and his wife Banu decided to open Red Hills as a Nature Retreat in 1991. They intended for this place to be a getaway for the adventurous and quite minded.